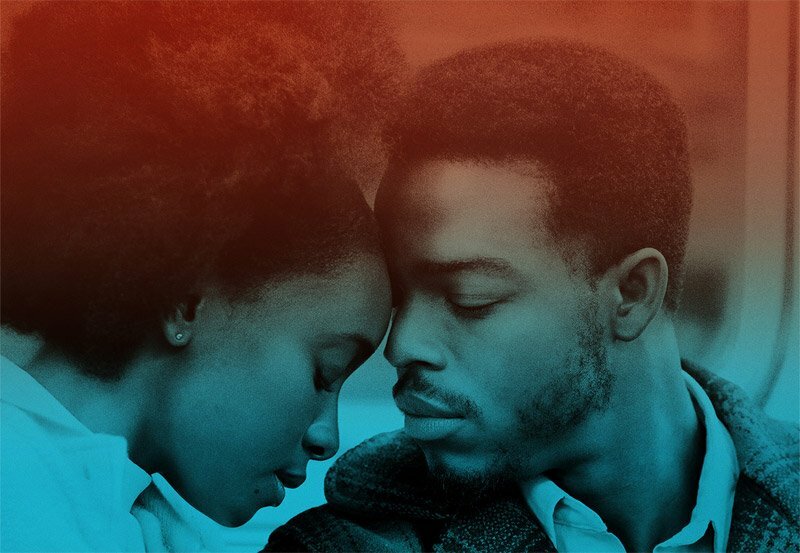 “If Beale Street Could Talk,” an alternately soaring and searing James Baldwin adaptation about a young black couple in early ’70s Manhattan, was named the best movie of 2018 by the Boston Society of Film Critics on Sunday. The film is the latest release from director Barry Jenkins, whose 2016 “Moonlight” won the Oscar for best picture. “If Beale Street Could Talk,” which will be released here on Christmas Day, also won awards for best supporting actress Regina King, as the heroine’s pillar-of-strength mother, and for Nicholas Britell’s sweeping musical score. The society, a group of 21 movie reviewers working in the New England area, was founded in 1981. Sunday’s meeting marked the organization’s 38th annual awards vote. Reflecting a year of strong contenders on the blockbuster front, in American independent film, and from other countries, the BSFCs awards were spread widely around. The Barry Jenkins-directed drama – his first film since his Oscar-winning “Moonlight” – also earned nods for Nicholas Britell’s score and Regina King’s standout supporting role as a righteous mother fighting on behalf of her pregnant daughter. J. Smith-Cameron (“Nancy”) was runner-up in the supporting actress category.